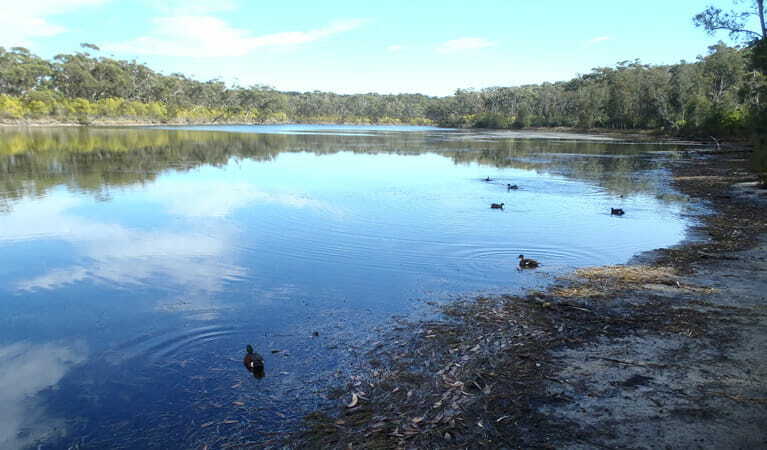 Popular with families, Berrara Creek becomes a beautiful lagoon that leads to the beach. Put your canoe in and paddle upstream, go swimming or fishing. 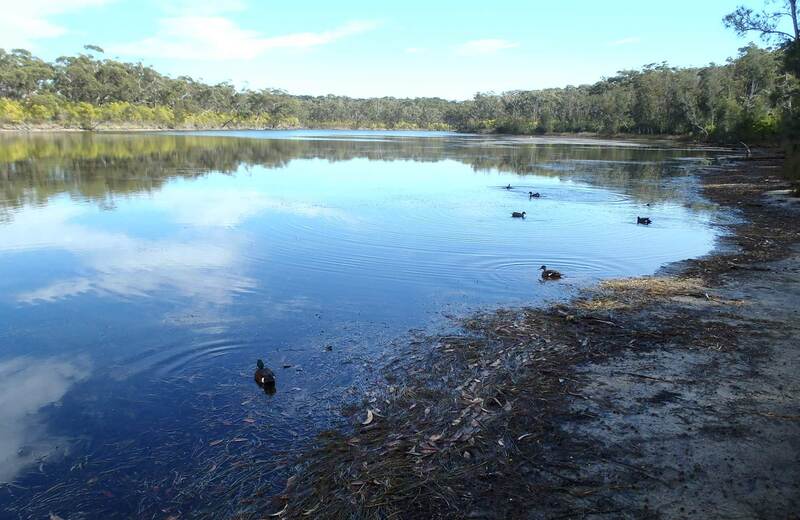 Berrara Creek is always open but may have to close at times due to poor weather or fire danger. It’s hard to believe that such a tranquil location is so close to civilisation. 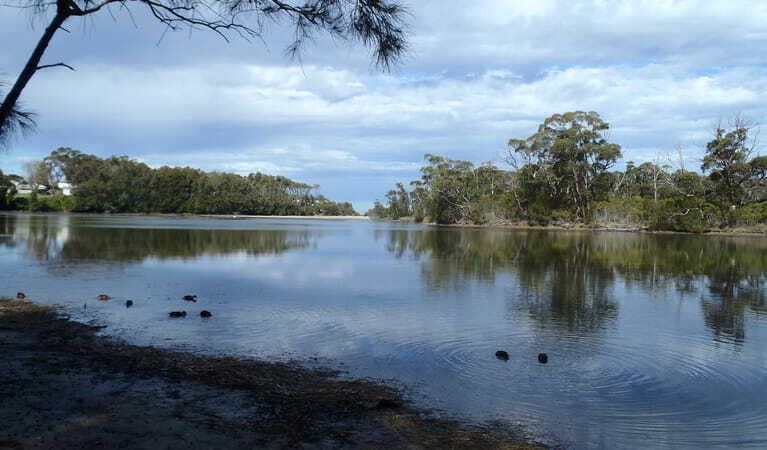 Berrara Creek is accessible by boat ramp near the village. Paddle your canoe or kayak upstream about 3km to where you’re completely alone. Fishing is popular in either the creek or from the beach, and if you walk to Fishermans Rock picnic area you’ll see the grinding grooves made by the local Aboriginal people many years ago. Bring a picnic to eat on the creek bank and take a dip in the afternoon sunshine. During spring along Berrara Creek, you’ll see plenty of flowering natives, including wattles and banksias. The endangered hooded plover is also known to nest near the creek’s entrance. 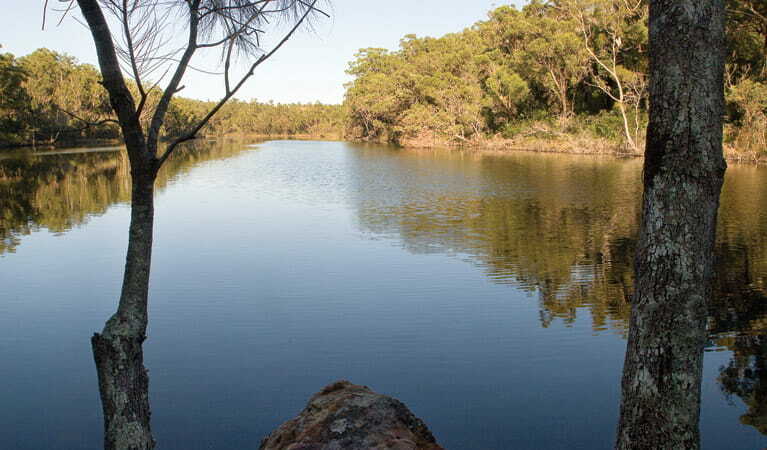 To see more of Conjola National Park, take a bike ride on the nearby Heath Circuit. Monday to Friday, 9am to 4pm. Conjola National Park is always open but may have to close at times due to poor weather or fire danger.